Currant Kush Feminized by the VIP Seeds marijuana seed bank is the perfect choice for those looking to build up a healthy appetite! Crossing two of their favourite genes, the VIP Seeds team has produced a pleasantly rewarding variety that really makes an impact. Although it requires a little more care and attention than other varieties, it’s definitely worth it! 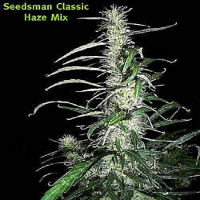 These feminized weed seeds produce a minty, clementine, lavender, and grapefruit scent, that can leave often users confused to begin with.